ROYAL SQUARE AT NOVENA is a new integrated development at Novena. Located just next to Novena MRT. 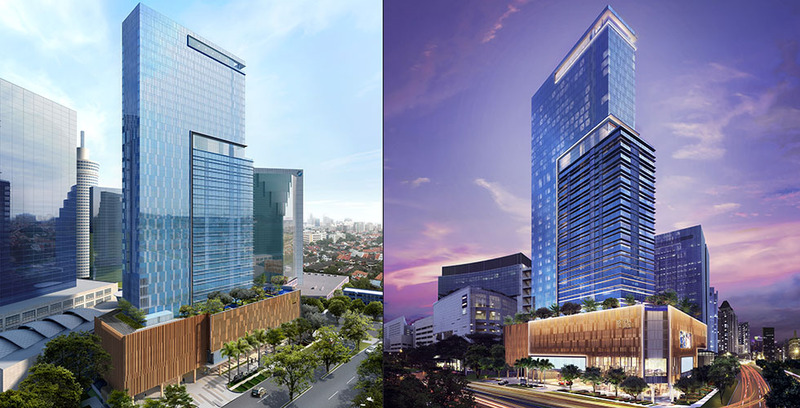 ROYAL SQUARE will be another iconic building at area together with Velocity, Square 2, and Novena Square. There will be shops, F&B outlets, restaurants, medical suites and hotels unit in the development. There are NO ABSD OR SSD for commercial units. 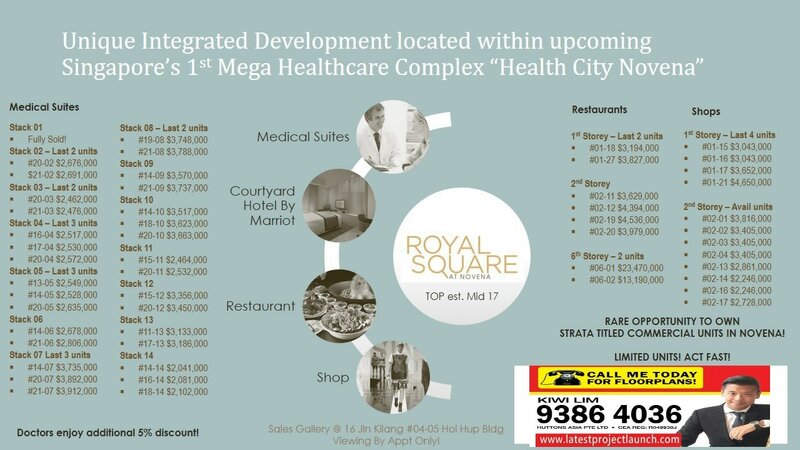 ﻿ROYAL SQUARE AT NOVENA ﻿ will be built as a complex of Medical Suites, Shops, F&B outlets and Restaurants within a hotel development located at the heart of the future Novena Health City. 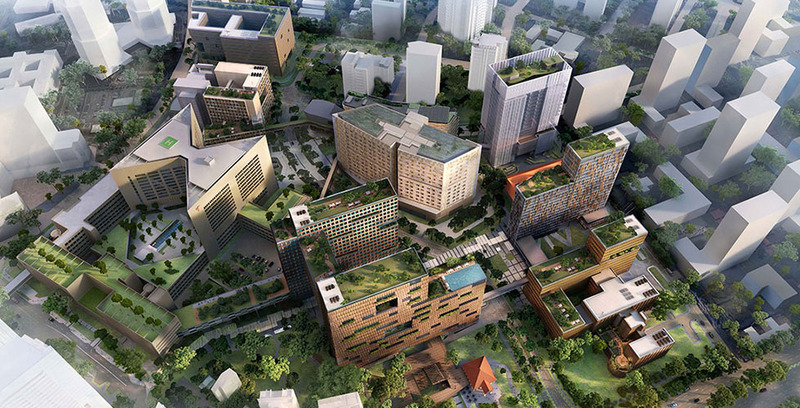 The development will promises a hot demand with the booming in Medical Tourism in Singapore. PENT-UP DEMAND: Singapore is becoming an international hub not only for business but also for education and medical tourism. With a huge influx of international patients coming every year, there is a high demand for medical facilities and supported infrastructure. 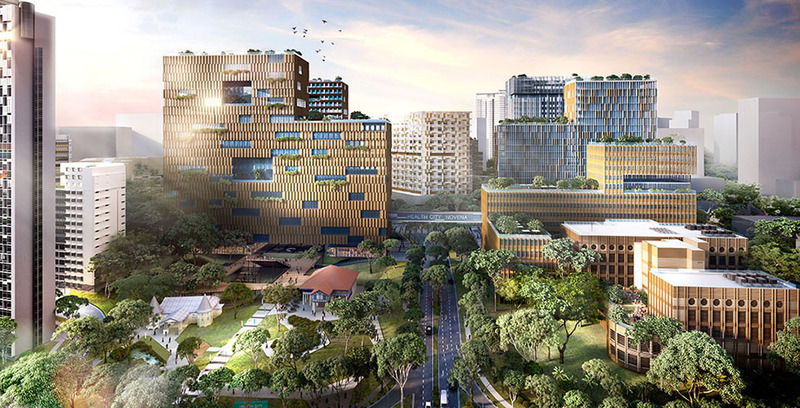 In addition, a recent announcement by Tan Tock Seng Hospital reveals its ambition to transform the area in a MEGA Healh City call the ﻿HEALTHY CITY NOVENA﻿.